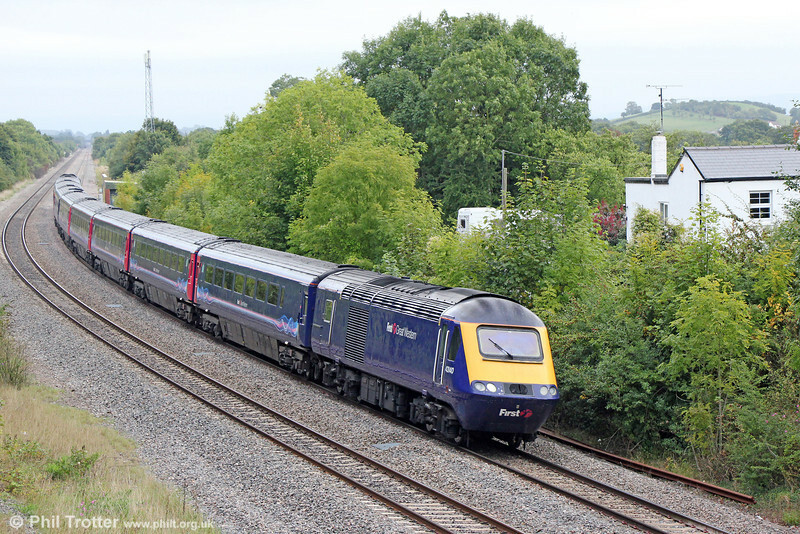 43140 at Grange Court with the diverted 1B15, 0845 London Paddington to Swansea on 21st September 2013. This was the site of Grange Court Station, which was a junction between the South Wales Railway and the Hereford, Ross and Gloucester Railway which closed in 1964. The white building is the former Station Master's house.